Visiting San Antonio for the first time was a trip of opportunity. My Noni (grandmother) and I had a wedding to attend and we decided to make a vacation out of it. I did a little bit of research, not as much as I normally do, but enough to fill our time there. I didn’t have any expectations for San Antonio because it never crossed my mind before this opportunity came up. We landed very late and saw nothing on the drive to our hotel but when we woke up in the morning, the views outside our window were a welcome sight. If you’re heading to San Antonio for the first time or maybe, like me, never considered traveling there...these 5 things might convince you it should be at the top of your travel list. 1 - The river walk is as incredible as people say it is. The riverwalk in San Antonio is amazing. You might have heard people talk about it from their own visit but it’s hard to imagine how beautiful it is until you see it for yourself. The river is winding and long and goes through the downtown area and beyond. The water is lined with trees and shrubbery, gardens and charming buildings. There are paths on either side so you can walk the entire length and there are water taxis as well as boat tours to use it as a mode of transportation. Some of my best photos of San Antonio are from drifting down the river. 2 - It feels almost tropical. We stayed at the Hotel Indigo San Antonio Riverwalk and were treated to a room with a view of the riverwalk. Our flight arrived very late, past midnight, so we didn’t see anything on our way to the hotel or outside our windows. When we woke up in the morning and looked outside, between the trees and the birds, I honestly felt that I was on a tropical island. Because San Antonio is so far south, it has the agriculture and wildlife to match and neither are something I’m used to. It was a welcome surprise from the gloomy Chicago weather. Could you imagine waking up to gorgeous sunshine, palm trees (or something like them), colorful blooms everywhere, and strange yet pretty birds chirping like crazy without realizing that’s what you were in for? 3 - The food scene is on point. I’ve met one too many people who assume that food in Texas is all Mexican or Tex-Mex or barbecue. Yes, you can find all three of those anywhere you look but I have yet to visit a city in Texas that doesn’t have a decent and diverse food scene. You can find French, Italian, New American, classic American, Southern-style comfort food, vegan, vegetarian, gluten-free, innovative...really, there are so many options. It also might help that the Culinary Institute of America, San Antonio is located in the Pearl District. The local industry takes pride in their craft and you can see it in the quality of the dining experience. 4 - It’s a small but mighty city. 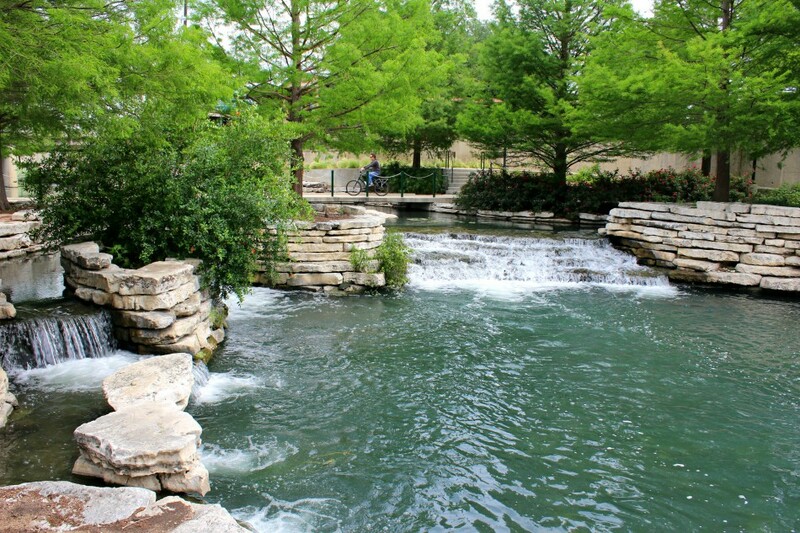 San Antonio is smaller compared to a lot of cities but it has a lot of things to see and do. I broke our trip into neighborhoods because it was easier to cover more ground in less time. For example, the Pearl District at the end of the water taxi line has the gorgeous Hotel Emma, the Culinary Institute, lots of shopping, weekend markets, dining and more. In fact, I wish that I had more time to spend there because one person can only eat so much and I hit a limit. There are so many delightful treats I wanted to try and didn’t have the stomach capacity to. The downtown area can be covered in a day if you’re ambitious but is worth exploring over two. Then there are all the places in between and on the outskirts. The old missions are practically a day trip on their own, and there are a few museums outside of the downtown area worth visiting. It might seem like you can cover San Antonio in a weekend and you can, but you can also fill the time for several days as well. 5 - It’s easy to get around but walking is the best. Getting around via water taxi is very simple and there are plenty of Lyfts and Ubers to order as well. However, I recommend walking as much as possible. The riverwalk has all kinds of nooks and crannies waiting to be discovered. There are little grottos scattered throughout as well as stone bridges that create an almost fairy tale-like ambiance. Above the riverwalk on the higher level of the city, there are all kinds of shops and restaurants to explore. It’s less polished than what’s along the riverwalk which makes it a little more interesting and adventurous. Walking is the best way to get around anywhere you’re traveling but with the weather so gorgeous during our visit in San Antonio, it made the decision that much easier.